We had two hanging baskets reserved in our greenhouses for a wedding late in the season. Over the 4th of July celebration I forgot to water them for 2 days in the heat wave we had. Panic set in when I realized that they were still in the 130+ degree greenhouse un-watered and looking terrible with only two weeks before the wedding. Yikes! She took a walk out to the greenhouses and then freaked out. It was her wedding client. 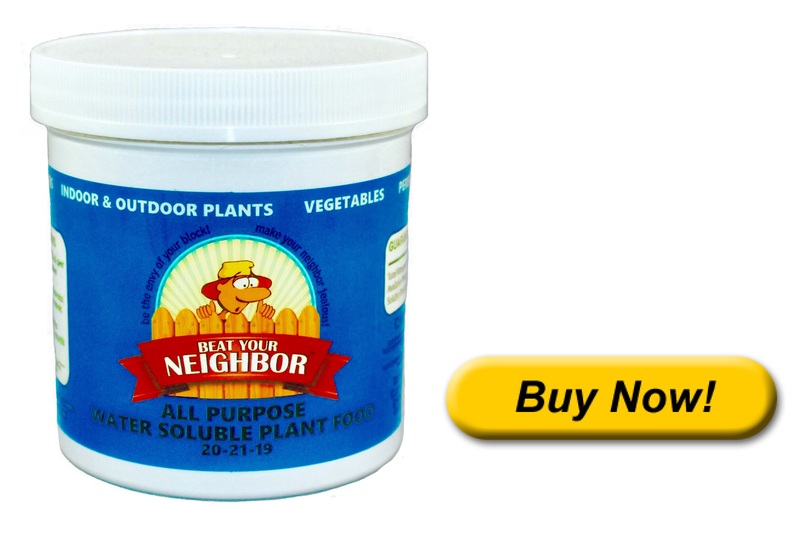 Out came the Beat Your Neighbor fertilizer. I watered properly and fed them every other day, pushing them to grow new blooms. I needed about a month of time...I had two weeks. They weren't just supposed to look good. They needed to look great. This is what we are known for. Within one week I could see them coming back. You could see the foliage turn green and new buds start forming. I kept at it with diligence and knew we were going to make it and still deliver beautiful hanging baskets. You can see that they looked amazing for the outdoor ceremony. So lesson learned. Be truthful with your wife. Don't forget to water. Use our fertilizer diligently and amazing things can happen.